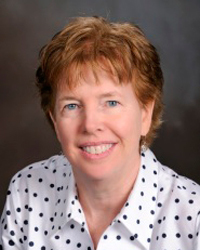 Mary Leigh Wolfe is professor of biological systems engineering (BSE) at Virginia Tech. Over the course of her career, Wolfe has dedicated many years to serving the American Society of Agricultural and Biological Engineers (ASABE). This includes elected positions on the ASABE Nominating Committee, Board of Trustees and Board of Directors, as well as serving as the 2015-2016 ASABE president. Wolfe began volunteering for ABET in 1991 as a Program Evaluator. Since then, she has participated at every level of ABET accreditation, including serving as 2007-2008 chair of the Engineering Accreditation Commission. She represented ASABE on the ABET Board of Directors from 2010-2015 and was ABET Secretary from 2015-2017. She is currently a member of ABET’s Finance Committee and Claire L. Felbinger Award for Diversity and Inclusion Subcommittee. Wolfe received her bachelor’s and master’s degrees in agricultural engineering from Virginia Tech and her doctorate in agricultural engineering from the University of Minnesota. She is a fellow of ABET, ASABE and the American Institute for Medical and Biological Engineering (AIMBE). Wolfe loves the great outdoors and enjoys hiking and traveling. David Kelly is CEO & CTO of InnovaSea. He is responsible for setting InnovaSea’s overall strategy and leading the research and development efforts to create advanced open ocean aquaculture farming systems. InnovaSea is dedicated to supporting open-ocean aquaculture businesses by producing innovative, environmentally-focused, sustainable technologies and service solutions for the industry. Prior to InnovaSea, David was the President and CEO of Bluefin Robotics, a wholly-owned subsidiary of Battelle. He was responsible for the strategic direction and operational execution of the business. Bluefin Robotics is a full life-cycle provider of Autonomous Underwater Vehicles (AUV) and related marine robotics technology to government, commercial and academic clients worldwide. Prior to Bluefin, David worked for 20 years at Raytheon and Texas Instruments as an engineering manager and engineer developing advanced defense electronics systems. David is a senior executive and technologist with over 30 years of comprehensive, hands-on experience in early-stage high tech companies and in Fortune 50 high tech firms. He has full life-cycle experience with robotics systems, information technology, and defense electronics. David holds a B.S. in Electrical Engineering from Worcester Polytechnic Institute, an M.S. in Computer Science from the University of Texas at Dallas, and an MBA from Southern Methodist University. He is a senior member of IEEE, and a member of ACM. David has been involved with accreditation since 1995. He has served as a Program Evaluator, Team Chair, Commissioner, at-large Executive Committee member, and in all the officer positions in the Computing Commission officer chain—serving as CAC Chair during the 2009-10 cycle. He has served on the ABET Board of Directors since 2011 and has acted as the Board Liaison to the Computing Accreditation Commission for three of those years. 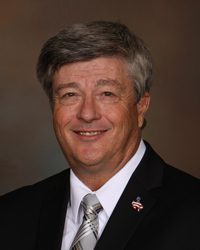 He has served on the Audit Committee from 2013 through 2017 and was on the Finance Committee in 2018. He was elected a CSAB Fellow in 2012, and an ABET Fellow in 2014. He was elected President-Elect of ABET in 2018. 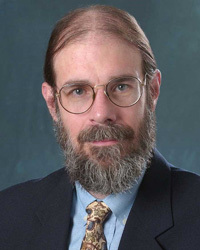 Michael Lightner, PhD, is Professor and Chair of Electrical, Computer, and Energy Engineering at the University of Colorado, Boulder. He received his PhD from Carnegie Mellon, and BS (highest honors), MS, University of Florida, all in Electrical Engineering. He is Co-Director of the NIDRR funded Rehabilitation Engineering Research Center for Advancing Cognitive Technologies at the University of Colorado Health Sciences Center and Technology Director of Boulder Digital Works, an innovative postgraduate digital media program. He has also served as Associate Dean for Academic Affairs for the College of Engineering and Applied Science. For many years his research was focused on electronic design automation including simulation, synthesis, test, formal verification and optimization. He has also worked in signal processing, most recently on multi-rate adaptive filters. The last ten years have been spent focusing on assistive technology for people with cognitive disabilities. In this capacity he helped found and was Associate Executive Director of the University of Colorado Coleman Institute for Cognitive Disabilities, founded with a $250M gift from Bill and Claudia Coleman. 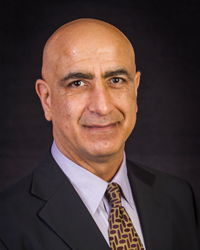 He is currently Co-Director of the National Institute for Disability and Rehabilitation Research funded Rehabilitation Engineering Research Center on Advancing Cognitive Technologies. In these recent roles he has worked with a variety of government agencies and NGOs, and initiated the first IEEE Conference on the Future of Assistive Technology bringing together government, academe, industry, NGOs, public interest groups, and the public to address the needs in assistive technology over the next decade. He was made a Fellow of the IEEE for his contributions to computer-aided design. He is also a Fellow of the American Institute for Medical and Biological Engineering. He has also received the College of Engineering Max Peters Award for Outstanding Service, the inaugural John and Mercedes Peebles Innovation in Teaching Award, and the College of Engineering Hutchinson Award for Outstanding Teaching in the College. He is the chair of the advisory board to the University Faculty Teaching Excellence Program. He has received the IEEE Circuits and Systems Society Golden Jubilee Medal, IEEE Third Millennium Medal, and the Distinguished Service Award from IEEE for serving as Editor of IEEE Transactions on Computer-aided Design. Michael has a long career in IEEE including serving as President of the Circuits and Systems Society, Vice President for Technical Activities, Vice President for Publications Services and Products, the 2006 IEEE President and he is currently serving as Vice President for Educational Activities. 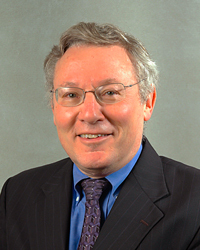 He has served as Editor-in-Chief of the IEEE Transactions on Computer-Aided Design of Integrated Circuits, as Technical and General Chair of the International Conference on Computer-Aided Design. He currently is the education lead for the IEEE Cloud Computing Initiative and Chair of the IEEE Committee on Earth Observations. During his time as a volunteer for IEEE he served on the IEEE Executive Committee for 6 years and 9 years on the IEEE Board of Directors. Stu Zweben is Professor Emeritus of Computer Science and Engineering at The Ohio State University. He holds a B.S. in Mathematics from CUNY City College, an M.S. in Statistics and Computer Science from Purdue University, and a Ph.D. in Computer Science from Purdue. Prior to his retirement, he served as Associate Dean for Academic Affairs and Administration in Ohio State’s College of Engineering for six years, and as chair of OSU’s Computer Science and Engineering Department for 11 years. He held a faculty position at Ohio State for more than 37 years, with a research emphasis in software engineering. Stu is a fellow and a former president of ACM (The Association for Computing Machinery), a fellow and former president of CSAB, and a fellow of ABET. He began his accreditation-related work when CSAB first formed in the mid-1980s as the organization that accredited computer science programs, and he served on CSAB’s first accreditation commission. After computing accreditation became the responsibility of ABET, Stu has been a PEV for both the Computing Accreditation Commission (CAC) and the Engineering Accreditation Commission of ABET, and a team chair for CAC. From 2008-2009, he chaired CAC, and from 2009-2011, he chaired ABET’s Accreditation Council. In 2012, Stu received ABET’s Linton E. Grinter Distinguished Service Award, ABET’s highest honor. He has consulted worldwide on accreditation and education-related matters, with both universities and other accrediting agencies. Outside of ABET, Stu chairs the Computing Research Association’s Survey Committee that produces the widely used annual Taulbee Survey of doctoral-granting computing departments in North America. He also serves on the steering committee for ACM’s annual survey of Non-doctoral-granting Departments in Computing (NDC), and on the Council of Ohio’s ACM-W Professional Chapter. David L. Whitman, Ph.D., P.E., F.ASEE received the B.S. degree (1975) in Electrical Engineering from the University of Wyoming (UW). He also received the Ph.D. degree (1978) in Mineral Engineering from UW and worked in the synthetic fuels arena prior to becoming a faculty member in Petroleum Engineering at the University of Wyoming in 1981. From 1989 to 2005, he was the Associate Dean of Academics. From 2005 until his retirement in 2016, he was a professor of Electrical and Computer Engineering. He received UW’s College of Engineering Outstanding Undergraduate Teaching Award in 1990 and 2004 and the ASEE Rocky Mountain Section Outstanding Teaching Award in 2001. He is currently the Past President of the National Council of Examiners for Engineers and Surveyors (NCEES), a member of the ABET Board of Directors, a member of the IEEE-USA Licensure & Registration Committee and an active member of the American Society for Engineering Education. Andrew Phillips is the Academic Dean and Provost at the U.S. Naval Academy. He became the chief academic officer in 2009 after having served as Associate Vice Chancellor for Academic Affairs and Dean of Graduate Studies at the University of Wisconsin – Eau Claire. As the Academic Dean and Provost, Dr. Phillips is responsible for leadership and oversight of all facets of the Naval Academy academic program including the Division of Engineering and Weapons, the Division of Mathematics and Science, the Division of Humanities and Social Science, the Naval Academy library, Museum, Registrar, Office of Research and Scholarship, International Programs Office, Center for Teaching and Learning, Center for Regional Studies, Center for Academic Excellence, Center for Cyber Security Studies, the campus assessment program, and all faculty personnel matters. Dr. Phillips began his academic career as a faculty member in the Computer Science department at the U.S. Naval Academy in 1988. He is a CSAB Fellow, a past President of CSAB, and a Team Chair/Program Evaluator for both ABET and the Middle States Commission on Higher Education. 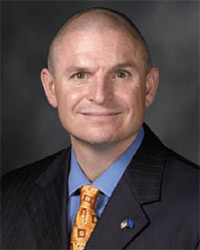 Dr. Phillips is a 1984 graduate of the Pennsylvania State University with a B.S. degree in both Mathematics and Computer Science, and he earned his masters (in 1986) and doctor of philosophy (in 1988) degrees, both in Computer Science, at the University of Minnesota. 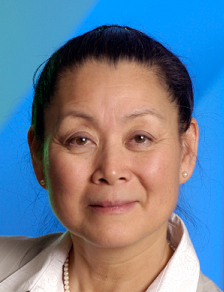 Dr. Dianne Chong was the Vice President in the Boeing Research and Technology organization in the Boeing Engineering, Operations & Technology organization. 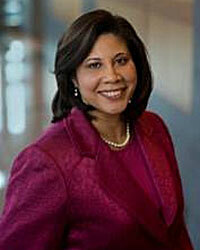 In this position she led special projects that impacted processes and program integration for the Boeing Enterprise. Prior to this she was the Vice President of Materials, Manufacturing, Structures & Support in the Boeing Engineering, Operations & Technology organization. In this position she led the organization responsible for development and support of manufacturing processes and program integration for the Boeing Enterprise. She has also served as the Director of Materials & Process Technology for Boeing Commercial Airplanes. Dr. Chong was also the Director of Strategic Operations and Business for IDS Engineering. In this capacity, she was the lead director defining and implementing a solid strategy for all Boeing Engineering. She has also been the Department Head / team leader of MSE, liaison, and process control groups in Phantom Works and Integrated Defense Systems. Dr. Chong received Bachelor’s degrees in biology and psychology from the University of Illinois. She earned Masters degrees in physiology and metallurgical engineering. In 1986, Dr. Chong received her Ph.D. in Metallurgical Engineering from the University of Illinois. She also completed an Executive Master of Manufacturing Management at Washington University. Dr. Chong has served as the St. Louis representative to Military Handbook 5 where she has chaired the Aerospace Users’ Group and the titanium casting group. Dr. Chong is a member of TMS, AIAA, ASM International, SME, SWE, Beta Gamma Sigma, and Tau Beta Pi. She has been recognized for managerial achievements and as a diversity change agent. She was also recognized as an outstanding alumna of University of Illinois in 2006. Dr. Chong has been a member of the National Materials Advisory Board. She has served on the Board of Trustees and is a Fellow of the ASM International. In 2007-08, she served as the President of ASM International. She currently serves as the Chair of the Women in Materials Engineering Committee. Dr. Chong is currently serving on the SME Board of Directors and is a fellow of SME. She has received numerous technical and diversity awards. Larraine Kapka’s engagement with ABET came about in 2004 when, during an ABET visit to her school, she was recruited as an ABET evaluator. Since then she has been a Program Evaluator, Team Chair, and Delegate and is currently the Engineering Technology Area Director. She currently serves on the Accreditation Training Council’s Education Committee and is a PEV Candidate Support Facilitator. 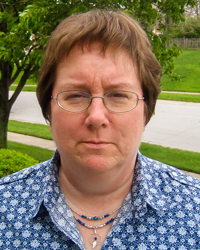 A licensed professional engineer in Ohio, Larraine holds a BSMME degree from the University of Missouri, an MSME from the University of Dayton, and an MS Industrial Management from Central Missouri University. 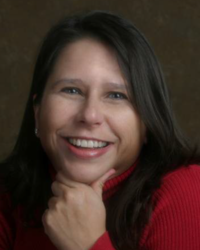 Larraine is active in both ASHRAE and ASME, serving on the ASME Committee for Engineering Technology Education. She is also an exam writer for the Thermo/Fluids PE exam. While working for a Department of Energy Contractor, received Federal Energy Efficiency Award and DOE Energy Management awards. She is a proud veteran of the United States Air Force. Larraine is currently a Professor at Sinclair College in Dayton, Ohio, where she previously held positions as Department Chair and Assistant Dean. She lives with her husband Gary and they have 2 (soon to be 3) grandchildren. 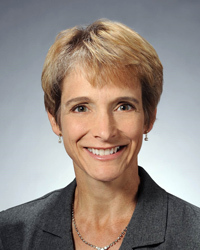 Janice Zdankus is vice president of Infrastructure Software and Blades Service in the Technology Solutions Group at HP. She is responsible for profitable revenue growth and customer satisfaction of worldwide software support services, a high-growth segment of the HP Services portfolio. She is also responsible for customer experience and quality for the company’s Enterprise Infrastructure Software products. 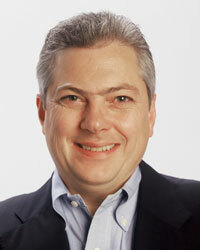 Previously, Zdankus led Worldwide Warranty Planning and Strategy for the Enterprise Storage and Server Group at HP. Prior to that, she was senior research and development director leading the diagnostics management laboratory. Since first joining HP in 1985 as a software design engineer, Zdankus has held several other senior leadership positions in marketing, support and business planning. Zdankus earned bachelor degrees in computer science and industrial management from Purdue University. She also holds a Masters of Business Administration from Santa Clara University in California. Nicole Chestang is Executive Vice President of the GED Testing Service® a joint venture between the American Council on Education (ACE) and Pearson. In her role as Executive Vice President, Ms. Chestang oversees national and state outreach initiatives, government relations, public affairs and external communications. She formerly served as Vice President of ACE and Executive Director of the GED Testing Service. As Executive Director, Chestang led the strategic realignment of the testing service and became the organizational champion and spokesperson for the GED 21st Century InitiativeTM that aims to ensure that more adult learners in the GED® pipeline are career and college ready. Prior to joining ACE, Chestang also worked as chief operating officer and executive vice president of the Graduate Management Admission Council® (GMAC®), a nonprofit international association and sponsor of the Graduate Management Admission Test® (GMAT®) used for admission to MBA programs around the world. Ms. Chestang has been recognized for her leadership in creating access to education, pipeline development and diversity by a number of leading national organizations, along with a host of colleges and universities. In addition to her service to ABET, she serves as a Trustee of the Edwin Gould Foundation. She has also served on the boards of The Washington Campus, The PhD Project Association, the Friends of the National Zoo as well as the Corporate Advisory Board of the Historically Black Colleges and Universities Business Deans Roundtable. Ms. Chestang received a Bachelor’s degree in psychology from Wayne State University and an MBA from the Olin School of Business at Washington University, in St. Louis.